A Tauranga neighbourhood is in an uproar after it discovered that it will soon be overlooked by a giant radio aerial. 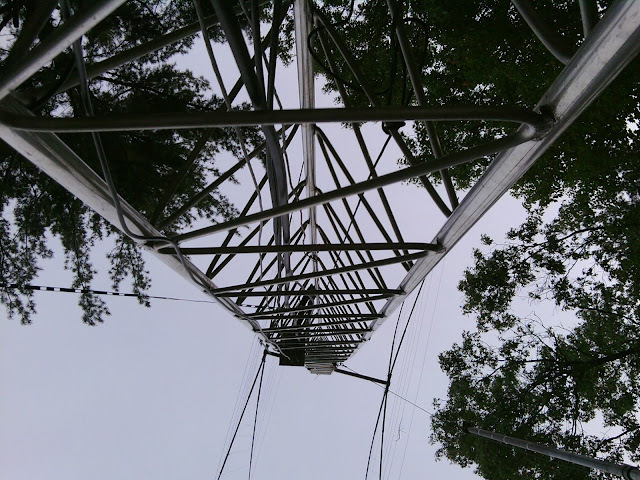 They discovered too late that instead of amateur radio aerials having a maximum height of 9 metres in residential areas, a successful appeal has hoisted the height to 20m. The appeal by the Tauranga Emergency Communications Group and the New Zealand Association of Radio Transmitters was not site specific and applied across all the city. They objected to rules in the council's proposed new City Plan that would have restricted new aerials to 9m. Older aerials around the city that pre-dated the current plan reached up to 16m. The first that Veda Glen residents heard about the Environment Court decision was when Pyes Pa radio ham Brian Heywood notified neighbours about his intention to erect a 20m high radio mast in his backyard. It would be topped by a flat rack of antennae measuring 13m long by nearly 15m wide.